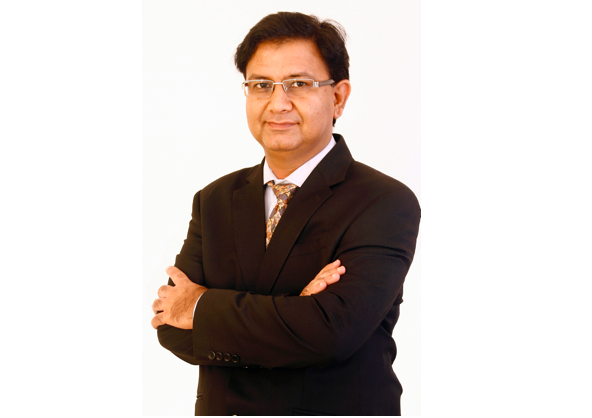 Mr. Sonam Udasi has over 20 years of experience in capital markets. He has been an equity fund manager with Tata Asset Management Ltd since April 2014. He manages funds like Tata Equity P/E, Tata India Consumer Fund, Tata Banking & Financial Services Fund, Tata Retirement Saving Fund, Tata Young Citizen, Tata Digital India, Tata India Pharma & Healthcare, Tata Resources & Energy and Tata Regular Saving Equity Fund. What is your investment style across your funds? All the funds managed by me have unique mandates. For instance, Tata Equity P/E Fund’s mandate is to pick up value. In the case of Tata Young Citizen Fund and Tata Retirement Fund the objective of the investor is to create wealth in the long run. From a style perspective, I don’t like a very long tail in my funds. It is not that this is not a good investment strategy - it is just that I do not find myself to be a good fit for this style. I like compact portfolios so that I can have a deeper evaluation of what I hold and I want to have conviction about what I hold. Because I started my career as a utilities analyst and later went on to become a consumer and media analyst, so I saw both spectrums of the businesses available in India. On one hand there are capex oriented businesses where large debt is taken for large infrastructure creation and on the other hand there are businesses that are running negative working capital and have high return on capital (ROC). I learned to appreciate the compounding model and high ROC model more than the typical high debt-oriented models over the long term. Within the themes that I run – I try to find companies which typically would have high ROC and would turn out to be compounding stories. As you go along there are tactical buys and sells in the portfolios. So far in my 3 years plus at Tata AMC I have not seen a single fund manager exceeding the internal cap on churn. I would like to buy right the first time but sometimes there are pockets where you have bought something with a certain view but later you realize it was a mistake. It may also happen that the market rewards a stock much sooner and you book profit and get out of the holding. In such scenarios, I am not averse to churning. I want to track only 90-110 companies and do due diligence on them. When I start the year I try to see which sectors or themes will do well relative to Sensex/Nifty over the next 1-1.5 years. Within that, I evaluate the ROC profiles of the companies. Then I see if these companies are part of any benchmark – not to follow a particular benchmark but to see if they are liquid. I look at softer aspects as well – like how frequently the promoters have raised money from the market, how frequently they have diluted existing shareholders. Because of many years of experience, I may buy a business even if I am not very bullish on the sector. I avoid value traps. I do not like companies which offer tremendous value but are not growing. India is a growth emerging market. If you do not focus on growth the portfolio may lag. We find that your funds like Tata Equity P/E, Tata Regular Saving Equity Fund and Tata Banking & Financial Services have fallen less than the peers in the current market fall. However, Tata Young Citizen has fallen more than the category average in the recent market slide. What is the reason behind this? The mandate of Tata Equity P/E fund is that 70% of the portfolio is invested in stocks that have P/E lower than Sensex. Within that, I filter stocks based on certain criteria. I conduct my due diligence on the stocks to arrive at my favoured set of stocks. The fund did not own any corporate banks. 70% of the corpus is invested in low P/E stocks, and I bought the remaining 30% in consumer oriented and insurance stocks even though those were high P/E stocks. The fund has a very liquid strategy and it gears itself quickly based on market scenarios. This is one of the reasons why across calendar years the fund has done well. Tata Banking & Financial Services Fund has been one of the cleanest banking funds. It did not own any PSU banks or corporate banks. It heavily held insurance and private sector banks. That is why it has done well. 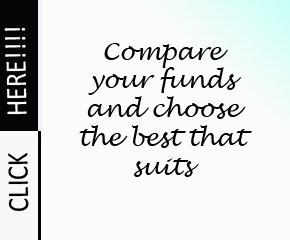 It is not a valid comparison if we compare Tata Young Citizen Fund to other balanced funds. The competition has 75% equity while this fund has 50% allocation to equity. The fund mandate might get revised soon. Similarly, in Tata Regular Saving Equity, the equity allocation is 15% while other competing funds have an equity allocation of 40%. What is your view on the market valuations currently? From a pure valuation point of view, on a trailing basis, we have come off quite a bit from the peak of 1st January, 2018. We were at a trailing P/E of 26.5 on Sensex and about 27.5 on Nifty. Currently the Sensex trailing P/E has fallen to 23.6. This is due to the correction after the Budget and also because the December quarter earnings were decent for some corporates. As earnings growth comes up and the price remains constant, the P/E falls. The P/E can be sub-23 after the March quarter results are announced as the earnings might pick up. The market is not cheaply valued. Even if you factor in 15% year-on-year growth in earnings of Sensex companies, still you are looking at a 1-year forward P/E closer to 21 times, which is higher than the long term average of 17.5. Yet it is not in the bubble territory. As long as GDP growth of around 7% comes back and earnings growth comes in, this valuation can sustain. In FY19, I am expecting 15% earnings growth (y-o-y). A lot of large banks will face issues in terms of earning momentum. Their momentum is likely to come in the second half of this fiscal year. The real swing on earnings can start coming meaningfully for many corporate oriented banks from December onwards. A lot of momentum is being seen in consumer stocks. Media sector continues to do well. Within energy, the big players continue to do well. The earnings momentum will be good in this as well as the next quarter. Autos may do well this quarter and could be decent performers for the remaining part of the year. A lot of infra companies may start reporting good numbers because of capex, order book growth and better pricing. Do you find mid caps or large caps to be more attractive at present? There was a time in November when large caps were looking incredibly attractive. I had a feeling that incrementally all flows will go to large cap stocks. That is the time when we loaded up automobiles and some of the consumer stocks in a big way. Currently the mid caps and large caps are on even key. The key factor driving my decisions is whether a company will be able to compound earnings. I am finding more names in the mid cap segment attractive than 6 months ago. Which sectors are you overweight and underweight on? We are overweight on auto, consumer oriented names and themes which are focused on public expenditure (including infrastructure and defense). Despite the noise on the SIP book going down or insurance premiums not coming through I feel the trend of financialisation of savings will continue to fire and incrementally earnings will become stronger and more robust in this financial year. That would add to earnings momentum. I am underweight on Pharma, IT, PSU banks and metals. What are the major risks to Indian equity markets? The major global risk is the trade war between China and US. The US continues to look at containing its balance sheet and hiking interest rate. That is a risk to the flows. On the local front, noise on elections is the key thing to watch out for. However, on the macroeconomic side and earnings side things are looking better. Once the trade war and the election result is behind us, the market will start focusing on the macros more meaningfully, which are not as bad as people make it out to be. What is your advice to retail investors? My advice to retail investors is that you should look at equities as another asset class. You do not look at your fixed deposits or long term bonds everyday. Equities should be part of the asset allocation plan as per your profile and you should continue with that exposure. In the last 10-15 years the market has seen all kinds of scenarios, yet equity investors have made money. So it is important to stay invested and not go overboard. Over a period of time, equity as an asset class can compound money for you as India is a growing economy. Disclaimer: The views expressed in this article are personal in nature and in is no way trying to predict the markets or to time them. The views expressed are for information purpose only and do not construe to be any investment, legal or taxation advice. Any action taken by you on the basis of the information contained herein is your responsibility alone and Tata Asset Management will not be liable in any manner for the consequences of such action taken by you. Please consult your Financial/Investment Adviser before investing. The views expressed in this article may not reflect in the scheme portfolios of Tata Mutual Fund.